Why do we have to meet legalization laws and regulations halfway? As citizens, this is why we have to demand cannabis legalization. Prohibitionists have fought cannabis legalization kicking and screaming all the way across the globe. Now that criminalization is backed into a corner, and countries begin the process of restoring the rights of citizens, they do so grudgingly. Why? Why do we have to meet them halfway? Why must there be so many restrictions? Here’s why we need to demand cannabis legalization. If something is legal, like alcohol, there is no limit to how much you can buy. Load up the shopping cart. It doesn’t matter if drinking can kill you. Cigarettes? Sure, buy them by the carton. Cannabis, on the other hand, is restricted to ridiculous levels. Seeds are tracked from the moment they are planted, until harvest. Weighed, cataloged, and every bud is controlled in inventory. A company that cannot account for every trace of the plant, even the stems and leaves, can be shut down. You can only purchase a small amount at a time, and if you have more than that amount in your possession, it is as if it is still illegal. You will get a fine or jail time. You can only grow so many, if at all. If your plants produce more than your limit, then again, that is illegal. As an American citizen, you have the right to literally drink, smoke, and eat yourself to death, but when it comes to consuming marijuana, that’s off the table, even though it is impossible to die from smoking pot to excess. 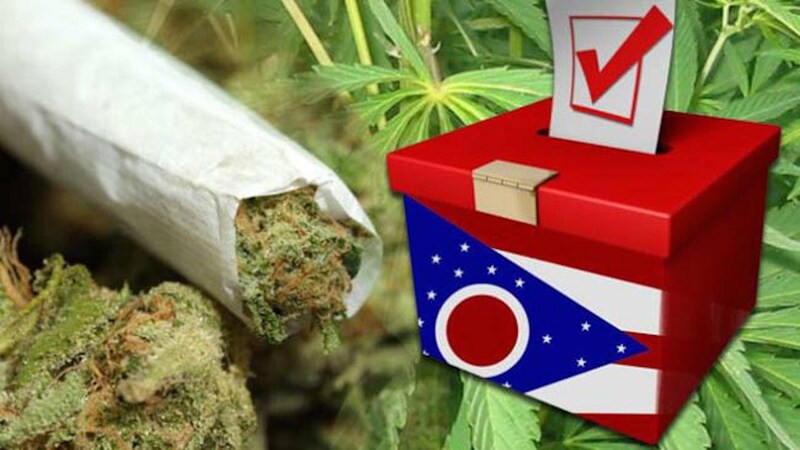 He went on to blast the restrictions in legal states, especially the latest law in Ohio. When it comes to drug tests at work, medical marijuana patients have no protection. They can be fired for violating a “drug-free workplace policy” if marijuana is found in their systems during a drug screening (which also would make them ineligible for unemployment benefits). Jesse Ventura, the bestselling author of numerous books that open the eyes of the American public to the deceit and corruption of our own government from the position of a man who has been in the thick of it. He’s added a new book to the volumes of cannabis activist literature. Jesse Ventura’s Marijuana Manifesto lays out his longtime belief in the need to legalize marijuana and industrial hemp. In the book, he tells us why the fight has been so hard, and what we have to do to win. Our government won’t do the right thing and legalize marijuana unless we the people demand it, because there are so many people within our government on the payroll, all thanks to the War on Drugs. His new book comes out Sept. 6th 2016. Do you agree with Jesse? Are our restrictions on legalization making a mockery of the word, and our freedoms? Do we need to demand cannabis legalization? Share your thoughts on social media or in the comments below.